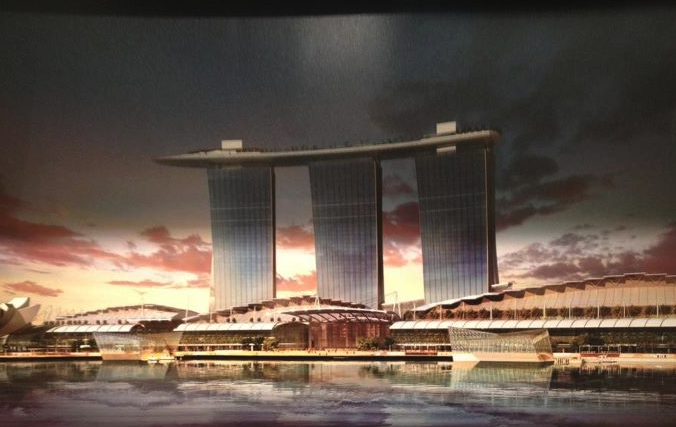 This fabulous architecture belongs to the Marina Sands Hotel in Singapore. 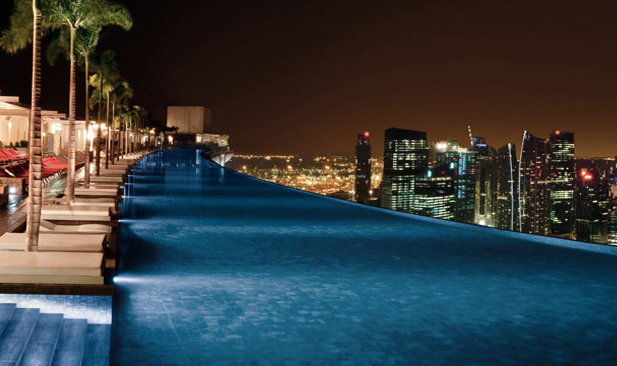 I’d probably have to take a valium before I dared go to the edge of the infinity pool on the skypark deck level. Criminy! A friend is staying there now traveling for business. Lucky dog! Feng Shui By Fishgirl analysis: the use of 3 towers is good feng shui numerology. The curves as indicated by the pool shot above add to the yin energy to balance the phallic towers. The skydeck resembles a giant surfboard from what I can tell. So far so good. But I think the hotel management needs to send me a ticket and put me up for a week in order to get a full feng shui report card. . .